I love the concept of instant search that Google introduced. 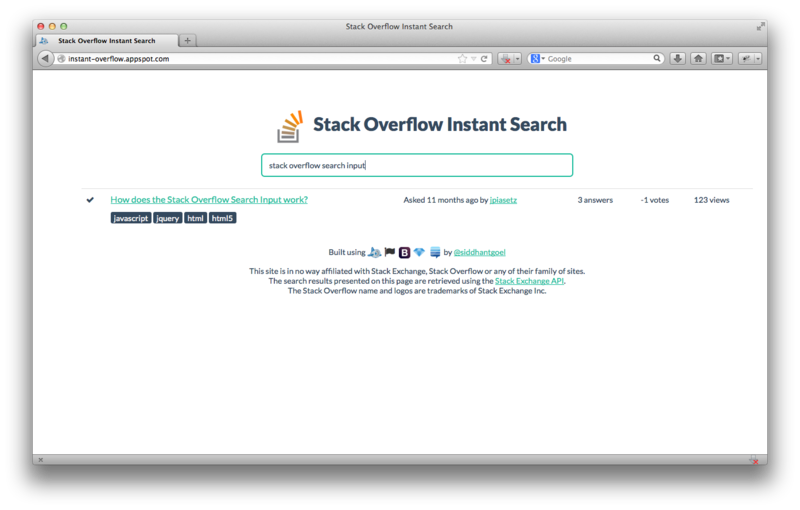 Stack Overflow Instant Search does exactly that - it brings (almost) instant search to Stack Overflow. The results update as the user types. There's a 250ms delay before actually hitting the Stack Overflow servers, which I think is fine. 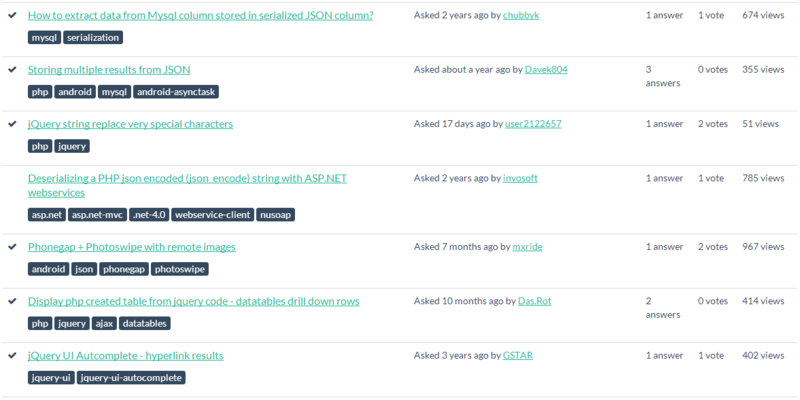 I'd highly recommend you to log in before you search, because API calls are rate limited. So if you log in, the access token is sent along with the request so that the number of searches allowed to you is more. If something doesn't work as intended, or you have any questions/comments/protests/rants, please let me know! I'd love some feedback!